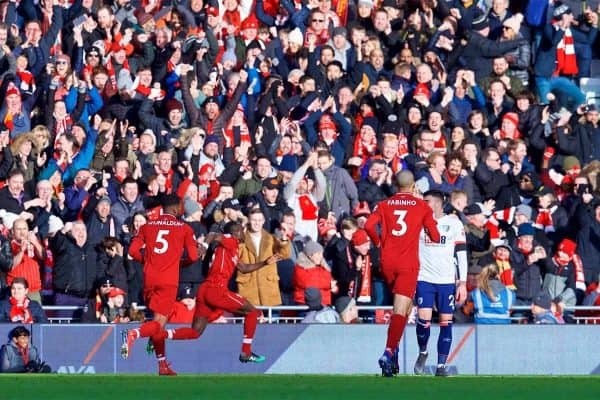 Goals from Sadio Mane, Georginio Wijnaldum and Mohamed Salah sent Liverpool back to the top of the table for 24 hours at least as they responded to back-to-back draws against Leicester and West Ham which had led many to question whether they could hold off Manchester City in the title race. 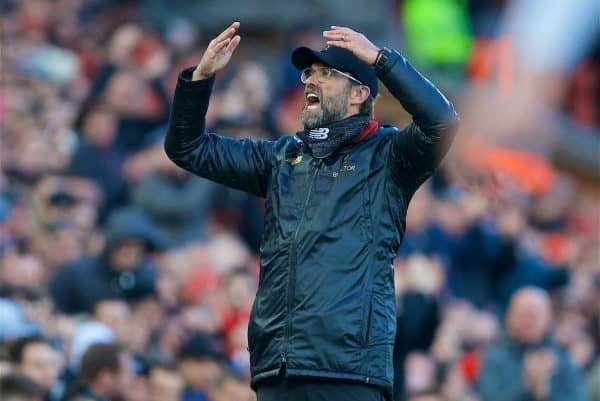 Klopp said he had not needed to listen to any of the outside criticism which came Liverpool’s way over the last few days to know a reaction was needed, but a reaction was what he got. City had moved above Liverpool in midweek with a 2-0 victory over Everton, and were reinstalled as title favourites despite having played a game more with many still believing the pressure will get to Liverpool. That pressure could soon be back on as City have the chance to reclaim top spot when they host Chelsea on Sunday afternoon, though Liverpool will be sunning themselves on a Spanish training camp by then. 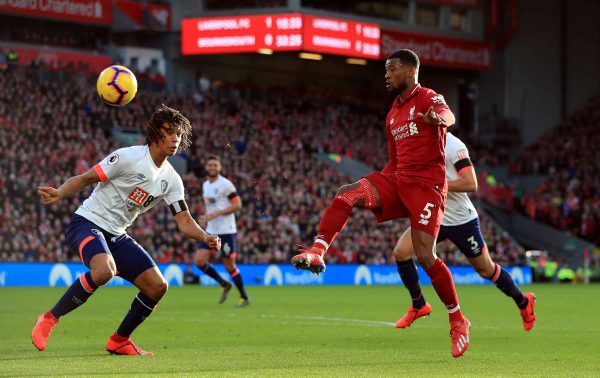 Wijnaldum came back into the side in the only change from the 1-1 draw at West Ham on Monday, but it was a close-run thing as the Dutchman had been ill with “pretty much everything you don’t want to have two nights before a game”, his manager said. “After a couple of hours sleep he said, ‘I feel good, I can play,” Klopp said. “The doctor said, ‘You are still infectious, stay away’. I was only concerned after he scored a goal and everybody gave him a hug. Bournemouth began the game well, setting up in a 4-5-1 formation and successfully frustrating Liverpool in the early going. But that all changed after they only half-cleared a corner in the 24th minute and Mane headed in from James Milner’s cross – a goal which frustrated Eddie Howe as Mane appeared to be offside. “The first goal was a huge moment in the match,” Howe said. “We set up to try to frustrate them, to restrict the space and it worked quite well in the opening period. We started well, hung in there, but the first goal was the key moment. It is the sort of goal likely to be ruled out by VAR next season – something Howe is looking forward to.